Bluebird Gardens Custom Reversible T-Shirt Quilts include favorite t-shirt sayings and designs, as well as solid t-shirt pieces, in a variety of block sizes on both sides of the quilt. These custom quilts are made in standard quilt sizes, which work best for beds that don't include additional padding. These quilts cover the mattress and will require a bed skirt for full bed coverage. We add a stabilizer to the back of the t-shirts so they don't stretch during quilting or later use. 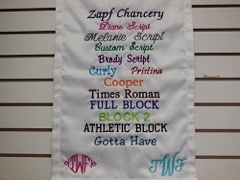 To make sure we preserve memories associated with the t-shirts, we make sure logos, sayings and any other identification is included in the quilt blocks. Made in Missouri, USA. Custom Reversible T-Shirt Quilt is finished with detailed machine pattern quilting. Listed pricing includes stabilizer, backing, quilt fill, quilting and binding. 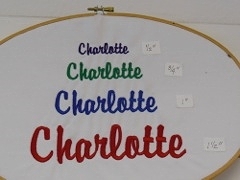 Custom embroidery is an additional charge. Price is an estimate; you will get a final price once all details are discussed and prior to our starting to make your custom quilt. Please allow 12 weeks for delivery once all details are finalized. We ask for a 25% deposit of the final price prior to starting on the custom quilt; the remainder when the finished custom quilt is shipped. You will get photos along the way so you will literally see how your custom quilt is being made. Custom quilts are not returnable or refundable.